Buy your home, then furnish and decorate it to suit your own personal style! Beds, tables, trophies, chests… the list goes on! And these items aren't just there for aesthetic effect – how you decorate will have a direct influence on your character! You have your territory - now choose from over 50 buildings to develop your bare patch of land! Whether military, industrial or residential, you create your own city; but construction space is a rare commodity in Albion, so make every building count! 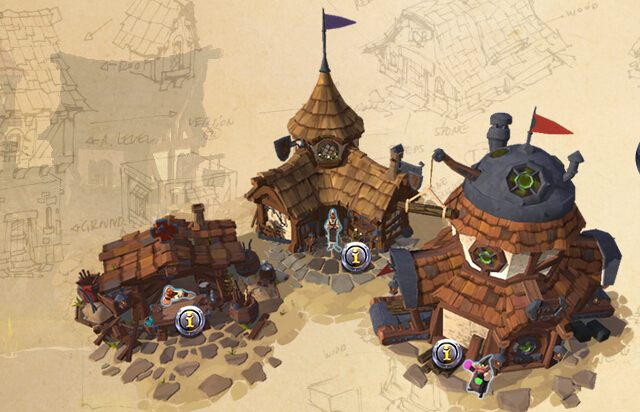 Comment:Found And Expand Albion Online Own Villages And Cities!